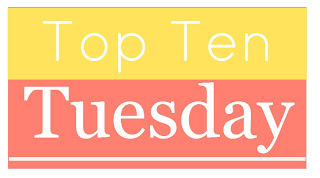 This week's Top Ten Tuesday topic from The Broke and the Bookish is My Best Books for 2016. 2016 was a good reading year. I read a little more outside my comfort zone than normal and I think because of that most of my reading was really enjoyable. My list this year is just based off the books I read IN 2016 and not what was released in 2016. One thing that surprised me is the lack of non-fiction on this list - only 2. I think in my effort to widen my reading genres I stepped away from nonfiction which is typically one of my favorite. 1. 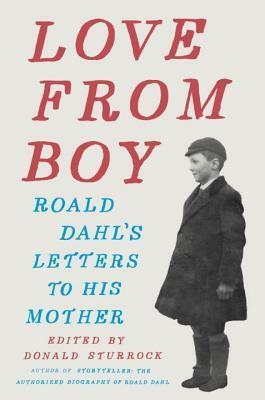 Love from Boy: Roald Dahl's Letters to His Mother by Donald Sturrock - I loved this book of letters from Roald Dahl to his mother! I especially loved the biographical information that Sturrock added so that not only did I get an idea of what was going on in Dahl's life at the time of the letter writing but how it appears in his books later on. 2. Matilda by Roald Dahl - I finally got around to reading (well listening) to this book this year and I absolutely loved it. I went the audio route which was read by Kate Winslett and it was such a treat. It definitely lived up to expectation. 3. Moonraker by Ian Fleming - This is the third James Bond and by far my favorite. I loved getting a sense of Bond in his personal life and I loved the character of Gayla Brand. This was really a fascinating mystery. 4. The Bookshop on the Corner by Jenny Colgan - This was the ultimate comfort read. It was cozy and fun and heartwarming and by the end I wanted to surround myself with books and move to Scotland! 5. 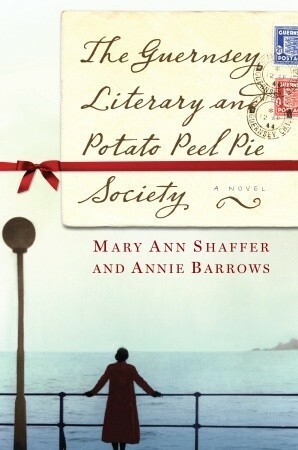 The Guernsey Literary and Potato Pie Society by Mary Ann Shaffer and Annie Barrows - This one had been on my TBR for years but I really didn't know what it was about. I listend to the audio and was absolutely blown away by it. The voices were wonderful and the story was at times heart wrenching and at times laugh out loud funny. The characters have stuck with me long after I finished the book. 6. Cinder by Marissa Meyer - This is another one I'd been wanting to read for ages and that I finally got around to reading. I loved how Meyer managed to combine cyborgs and fairy tales and make it fresh and interesting and it completely hooked me! 7. Iris and Ruby by Rosie Thomas - Normally when I read a book with 2 separate timelines I absolutely adore one and just suffer through the other while I wait to get back to the one I like. This one was different because I absolutely loved both. I loved seeing Egypt during World War 2 and I loved watching the interactions of Iris and Ruby in modern day. 8. The Sharper Your Knife, the Less You Cry by Kathleen Flinn - I read one of Flinn's books last year and loved it so was curious about her first book about her time at Cordon Bleu. It was fascinating and entertaining and made me never ever want to attend class while still being a book I just couldn't put down. I have one more book by her left to read and I can't wait! 9. In a Dark, Dark Wood by Ruth Ware - This was one of those books where the audio made it amazing. The mystery was interesting the setting was terrifying without being obvious and I couldn't wait to see how it all unraveled. However, what made it absolutely amazing was Imogen Church's narration which was unbelievable. I was so excited to see that she is narrating Ware's newest book. 10. Stars of Fortune by Nora Roberts - I have no idea how many books Roberts has written but it's a ton. The last few years I've been underwhelmed to say the least - especially with her trilogies. I didn't have particularly high expectations for this one and only got it because it was displayed at the library one time when I was there. And I really enjoyed it! It was so nice to really enjoy a Roberts again as it had been so long. I picked the 2nd book in the trilogy up at the library the other day and can't wait to get started! I haven't read many of these, and there are several that I don't recall seeing, so will be sure to check them out. It is good that you are changing up what your reading, even if that means one of your favorite genres has taken a backseat temporarily. I know that stretching out of my comfort zone has often led to the most fascinating of reads. In a Dark, Dark Wood was great!! I just started her newest on audio!! The Potato Peel and Cinder on audio were so good! Lovely list!! I loved the Guernsey book! The Bookshop on the Corner and Kathleen Flinn's are both on my wish list. Hooray for reading outside your comfort zone... I tried to do that a little this year, but will push the boundaries even more in 2017! I haven't settled on my best of list yet... I plan to wrap everything up next week hopefully. I always have a hard time making up my mind! Matilda is one of my all-time favorite books -- I love that she is such a bookworm! I can't wait to read The Bookshop on the Corner -- I've been saving it in my pile since I'm taking a trip to Scotland soon. I really enjoyed In a Dark, Dark Wood too and have several others here on my wishlist! Great picks! Matilda is one of my all-tie favourites! I love it so much! I've read four on your list and loved them. I think this NR trilogy had a zing to it that had been lost for a while so happy to see her score with this one. The book I am taking from your list is Iris and Ruby, just put it in my wish list at Audible. I love the fact that the Guernsey book is on your list. Such a wonderful book. Read it years ago with a book group. Probably about time for a reread - maybe in audio format. And I totally agree with you about Ruth Ware's IN A DARK, DARK WOOD. That's on the schedule for April for my mystery book group. Hope they all like it as much as I did. Stepping outside of your comfort zone is always interesting, and can also be pretty eye opening - it sounds like it was a great path for you in 2016. I'm glad you read and loved Matilda! I'm always amazed at people who love Cinder....I need to give it a read one day! I think I need to step up my nonfiction reading this next year. I hardly read any. In a Dark, Dark Wood is the only book on your list I have read (or rather listened to) and I really liked it as well. I do want to read several others you list. So many great books to look forward to! I hope you have a great reading year in 2017, Katherine! The Bookshop on the Corner looks great and just really cozy! :) And glad to see that Moonraker made your list- I may need to try a Fleming book. The book of Roald Dahl letters looks interesting- I loved some of his stuff as a kid and should revisit at some point. So glad you loved Cinder so much! I need to read Matilda in the new year for sure. Great list! I loved In a Dark, Dark Wood, even though it didn't make my Top Ten. There were lots of books I loved this year...it was hard to pick just ten. I read the Guernsey/Potato Peel Pie book a few years ago, and remember it still as being delightful. Thanks for sharing, and may 2017 bring lots of good books! I have some catching up to do! The only book on your list that I have read is In a Dark, Dark Wood which I think I picked up partly because of your review. I would love to listen to Matilda so I will need to check my library for that one. Ronald Dahl!! And I'm so happy to see Cinder on your list too! I'm probably that one person who still hasn't read any Nora Roberts, glad to see her books are still awesome! Great list, Katherine! I really, really, really, really want to read Love From Boy. Thank you for making me aware of it. Here's to more wonderful reading in 2017! "Guernsey" was such an awesome book! I'm a huge letter-writer and I love epistolary novels. Another WWII epistolary novel I really enjoyed was "I'll Be Seeing You" by Suzanne Hayes and Loretta Nyhan. It was on my best-of-the-year list a couple years ago! I loved #4 and #5 and will put #10 on my wish list! Great list. Potato Pie Society was a terrible title but really great book. I am considering trying Dark Dark Wood, I didn't think her new one was all that great. Matilda is one of my all time favorite books. Have you seen the musical? I went to NYC to see it on Broadway and it was fantastic! It is nice to step outside your typical picks now and again. I don't read non fiction currently (I seriously burned myself out on it a couple years back) but have been feeling the itch for one so maybe in 2017 :D Hope you have a great reading year in 2017! My only little gripe with Cinder was how open ended it was. Which is meant to get you to pick up the next book, I know, but I'm so bad with series! Oh, but the whole series is really worth reading! What a great list, Katherine! I just picked up The Guernsey Literary and Potato Pie Society partly on the strength of your recommendation.